From the sun baked vineyards of Nelson to the snowy peaks of Queenstown and lush rainforests of The Catlins, the South Island will constantly surprise you with new facets every time you round another bend. A New Zealand campervan rental holiday is always an unforgettable experience, and this one that travels the length of the island is one of the best. New Zealand is not a place in which to drive blindly from attraction to attraction - it’s full of hidden gems along the way that beg you to stop and enjoy the journey. On your trip from Nelson to Christchurch and back you will no doubt want to make the most of it, which is why we have put together this handy itinerary to help you along. A campervan hire makes for independent travel and on the route of fabulous splendour, you will want to be as flexible as possible. What a place to start your holiday. This is a country brimming with idyllic holiday spots but even so, there’s no question that Nelson, NZ stands among the best of them. Envied nationwide for its sunny skies, balmy Mediterranean-style climate and world-class wineries, this is the kind of place that you’ll be tempted never to leave. Nelson is without doubt a relaxation destination - and seeing as holidays are all about unwinding and getting away from your day-to-day routine, this is the perfect place to start yours. Taking a winery tour while you’re in the area is all but compulsory. Tasting exquisite vintages while basking in the bright Nelson sun or taking refuge in a cool wine cellar - that’s how to kick off a vacation. There are plenty of companies that offer to drive you around the wineries and tell you a little about the history of the place along the way - this option is generally a lot better than a self-drive tour, as you can sample as many different wines as your heart desires. If you’re partial to dessert wines, make sure your tour includes Seifried Estate Winery: ask to try their multi-gold-medal-winning Sweet Agnes riesling and prepare to be blown away. Perhaps beautiful beaches figure prominently in your relaxation schedule. If that’s the case, this corner of New Zealand has a real treat in store for you. About two hours northeast of Nelson lies the legendary Golden Bay - this remote region is a low profile favourite amongst those who are in the know. Although many tourists never even realise that it exists, Nelson locals have been holidaying here for years. 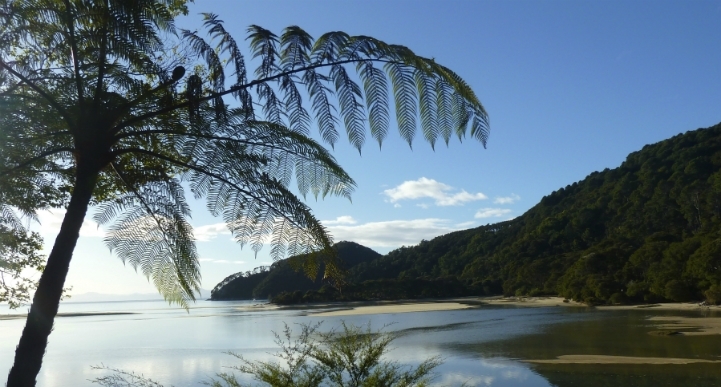 With weather that surpasses even that of Nelson, and golden sand beaches stretching further than the eye can see, Golden Bay is one of those Kiwi treasures that few ever get to experience. 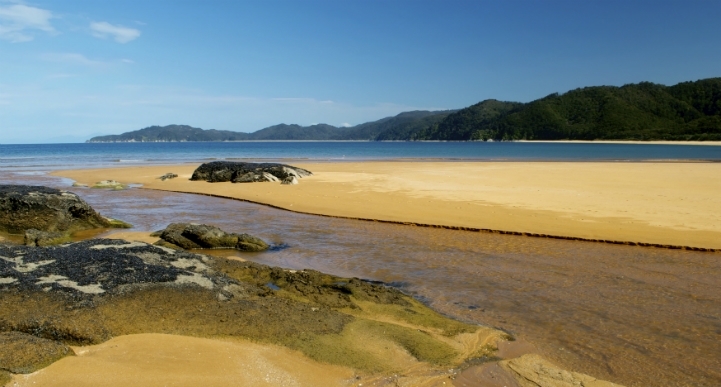 If you do decide to head up to Golden Bay, you should know that it’s right on the doorstep of one of New Zealand’s most loved hiking trails, the Abel Tasman Coast Track. The track is 51 kilometres in its entirety but it’s easy to bite off smaller chunks. Whether you’re keen for just an hour’s stroll, a day trip or the full 3 to 5 day experience, local water taxi services allow you to jump on and off the track at a variety of different junctures. If you do have the time to walk the entire track, it’s highly recommended. Picture perfect beaches and verdant native bush feature along the entire route - and if you don’t feel like walking the whole way, there’s also the option to turn the experience into a kayak voyage, pulling into secluded coves to camp along the way. Although you might feel like you never want to leave the Nelson area, just remember that there’s a whole island’s worth of new places and experiences waiting for you! Once you’ve picked up your campervan hire in Nelson, you’ll be ready to strike southward for fresh horizons. Moving on from Nelson you’ll jump on State Highway 6, the road that will carry you along for most of your journey. There’s not a lot in the way of civilisation between Nelson and the coastal town of Westport - with the exception of Murchison. It’s no bustling metropolis, true, but this town that lies about 1 hour 45 minutes down SH 6 from Nelson is well worth stopping for, especially if you’re hungry for a little taste of adventure. Murchison is known as the whitewater capital of New Zealand - if you’ve ever been tempted by the exhilarating adrenaline buzz of whitewater rafting, this is the place to do it. 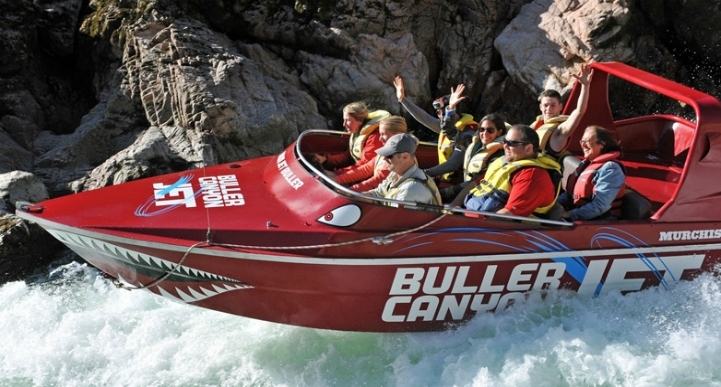 Or, to experience all the thrill with none of the work, you can opt for a high speed jetboat ride that will have you shooting down the Buller River at speeds of up to 85 kph. The Buller Gorge Swingbridge also offers thrillseekers a range of exciting experiences, from a 160 metre long zip line to the ‘Supaman’ ride which throws you into the air with only a harness to hang on to! Less than an hour and a half after you’ve left the thrills and spills of Murchison, you’ll find yourself turning right off of SH 6 to find the day’s final destination: Westport. The West Coast of New Zealand’s South Island has been described as one of the most scenic coastlines in the world - it’s not hard to see why. Striking rock formations, rarely seen wildlife, thick native forest growing up on one side while the ocean stretches out of sight to your right… Whatever else you do in life, you’ll never forget this part of your trip. *If you're beginning your trip in Greymouth, find your nearest motorhome rental depot here. Like many of the towns dotted along the west coast of New Zealand’s South Island, Westport was founded on gold. While the gold rush of the 1860’s proved to be short lived, Westport stuck around and today is more well known for its ecotourism and adventure activities. 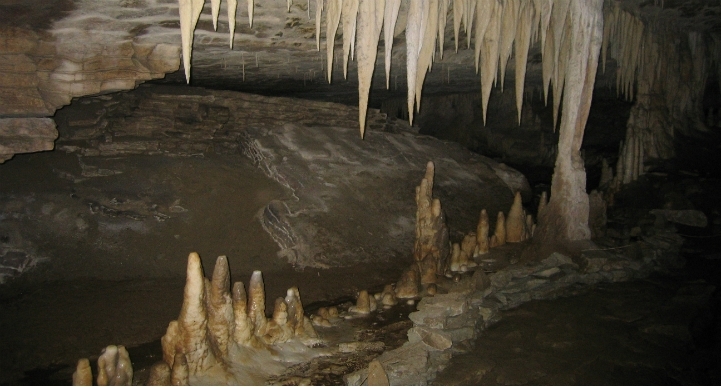 Exploring Westport’s caves is a big attraction for many tourists - even if you tend to be a little claustrophobic, don’t worry: many of the caving tours are gentle affairs, featuring glowworms galore and drifting down underground rivers. Of course, for the fearless few, there’s expedition style caving that demands a lot more of you, but offers heart-pounding adventure in exchange. Caves aren’t everyone’s cup of tea though so if you’d rather feel the wind in your face, drive about 15 minutes west of the town to discover Cape Foulwind Walkway. As offputting as the name may be, you’ll find that walking this hour and a half return trip is anything but foul as you cross the rolling hills between Lighthouse Road and Tauranga Bay. Keep an eye out for a sizeable fur seal colony near the southern end of the walk, below the coastal path! Moving on from Westport, get back onto State Highway 6 and make for the coast. Universally acknowledged as one of the most beautiful coastal routes in the world, the slice of New Zealand that you’re about to encounter is difficult to describe without diminishing it. One thing’s for certain: if you haven’t made this trip before, there’s no way you can be prepared for the sights you’re about to see. 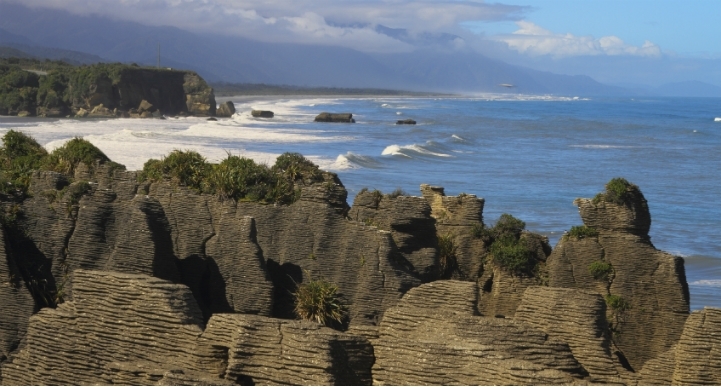 Around 45 minutes south of Westport is the small community of Punakaiki, home to one of the country’s most distinctive geological formations: the Pancake Rocks. A collection of limestone rock formations, eroded by wind and waves, these produce a spectacular show when the high tide bursts through holes in the rock to geyser skyward. There are a few different walkways that let you get a good look at these finely layered formations - just be aware that if you get too close during high tide, you may end up a wee bit wet. A further 45 minutes down this gorgeous coastal route will bring you to Greymouth, the biggest town in the West Coast region. While some will choose to drive straight through Greymouth without stopping, those who’d like to stretch their legs would do well to start with a walk along Mawhera Quay. The quick 10 minute stroll will blow away the cobwebs and get you ready for the next leg of the journey - but if you need a bit more time, it’s easy enough to continue down to the breakwater and Blaketown Beach for an extended jaunt. And if sampling Kiwi beer takes your fancy, you’ve certainly come to the right place. Greymouth is the original home of Monteith’s Brewing Company, one of New Zealand’s most successful and well loved breweries, and while most of Monteith’s production has now moved elsewhere, the refurbished original brewery still stands and offers tours (with liberal samplings of Monteith’s beer, of course) to those passing through Greymouth. Be sure to designate a driver! Hokitika is just over half an hour south of Greymouth, and while it’s not as large as its northern neighbour, the town certainly has its attractions. While Hokitika started out as a hub for those seeking their fortune in New Zealand’s gold rush, it has since shifted focus from exploitation to celebration of the natural world: ecotourism is a fast growing industry here. If you happen to be taking your campervan trip around March, there’s one Hokitika event that you really need to experience - the Wildfoods Festival. This is a food fest that is all about cuisine that’s sourced straight from nature, from venison and wild boar hauled out of the depths of the New Zealand bush to seafood harvested from the West Coast waves. It’s not just local dishes on display though. Wildfoods has a reputation for presenting exotic dishes that you may never have considered as food before. New Zealand huhu grubs, scorpions, locusts… those are just a few of the (surprisingly tasty) morsels that have made an appearance in years past - there’s no telling what you might discover if you head along! 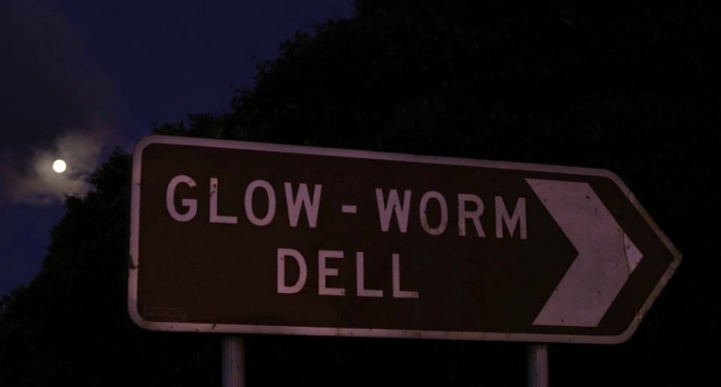 For those who believe that creepy crawlies can be tolerated but definitely not snacked on, Glowworm Dell may be a better choice. Just off the main road at the north end of town, this is a fun nighttime excursion no matter what age you are. Bring a flashlight to help you find your way to the dell, and then turn it off to see the night light up with bioluminescence. There’s no denying it - the Westport to Franz Josef Glacier leg of your journey is one of the longer sections, and it could get a lot more lengthy depending on what you want to do along the way. So if you feel like you can’t push all the way on to the glacier in one go, it’s easy enough to find Hokitika campervan sites. The Hokitika Holiday Park is your first port of call - this campground is far from fancy, but it certainly has everything that motorhome travellers need to spend the night in comfort. If you intend to push onward, you’ll be looking at about a two hour drive (maybe a little less) before you come across the small community made famous by a massive river of ice nearby: Franz Josef Glacier. If you’ve never seen a glacier, then it’s almost impossible to appreciate the sheer size of it. It’s one thing to mention a 13 kilometre river of ice that can only be accessed via helicopter, but to actually stand atop it, to negotiate its crevasses and explore its caverns - that’s another thing entirely. Are you ready for Franz Josef? *If you're beginning your trip in Queenstown, find your nearest motorhome rental depot here. If you’ve never seen a glacier, no photographs or descriptions can ever prepare you for its magnitude. 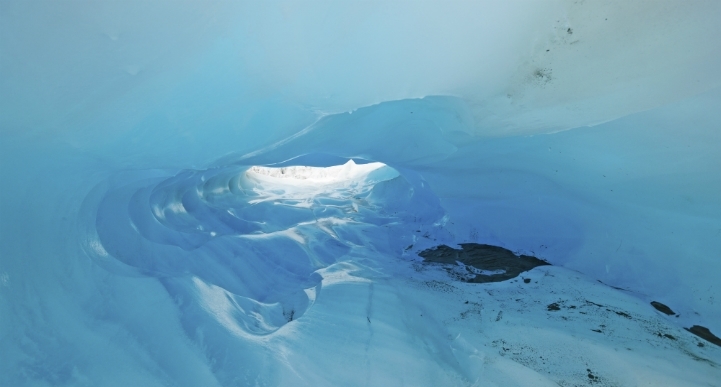 At 12 kilometres in length, this monumental stream of ice is one of the most popular tourist attractions in the South Island, along with its sister, Fox Glacier. To view the glacier you can walk up the valley toward its face, or (for those who fancy a bit of a hike) you can take the 8-hour hike to the top of Alex Knob which overlooks Franz Josef. But to actually walk on the ice itself, you’ll need to take a short helicopter ride up onto the surface. Not only will you then be able to walk along this massive natural wonder, but if you take a guided tour you can explore the bright blue ice caves that have formed over the years due to the slow shifting movement of Franz Josef Glacier. Another upside to taking the guided tour is a free soak in the local hot pools to warm you up after your hours on the ice. There’s also the option of taking a longer, far more scenic, helicopter flight over the glacier instead of merely hopping up onto it. If you’re willing to pay a bit extra for the ultimate in spectacular scenic experiences, this is certainly the way to go. When you’ve had your fill of frozen majesty, it’ll be time to continue your journey south. On your way you’ll pass Fox Glacier, New Zealand’s other major glacial attraction. A little over an hour and a half out of Franz Josef, your route will take you along the shores of Lake Moeraki. This little known lake offers you the best chance you’ll ever have to glimpse the world’s rarest penguin: the Fiordland Crested Penguin. Timing your arrival for late afternoon or early morning is ideal, as these are the best times to see these ultra-rare birds in the wild. Just half an hour further on from Lake Moeraki you’ll find the town of Haast. This is a place of singular natural beauty. In fact, the area around the town (known as The Gates of Haast) has been declared a World Heritage area by UNESCO. If you’re okay with delaying your arrival in Queenstown a little, taking a guided tour out of Haast will introduce you to fur seals, little blue penguins, Hector’s dolphins - perhaps even a Fiordland Crested Penguin or two. The next stage of your journey is a real treat when it comes to beautiful scenery. Not long after you leave Haast you’ll pass into the Mount Aspiring National Park, a place of sharp ridges and serene river valleys, before coming out the other side to drive along the shores of two crystal clear lakes - Lake Hawea and Lake Wanaka. Not a bad way to spend a couple of hours on the way to the postcard perfect town of Wanaka. The town of Wanaka is nestled amid a giant natural playground; if you have a single outdoorsy bone in your body, you’ll be wishing you could stay here for a very, very long time. With the aforementioned Mount Aspiring National Park to the north, and ski fields of Treble Cone off to the northwest and Cardrona to the south, the whole area is begging you to dive into amazing experiences. 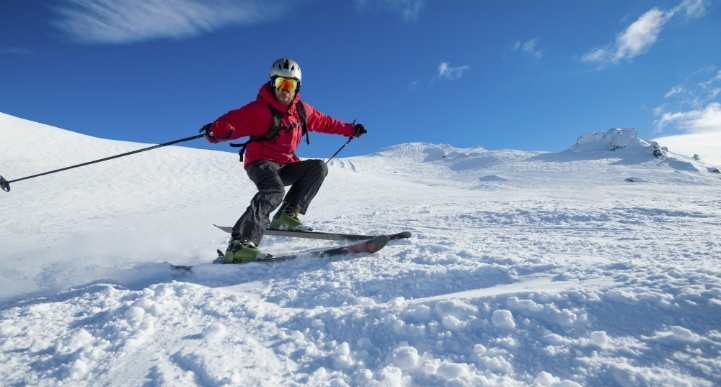 Wanaka skiing, whether at Cardrona or Treble Cone, is extremely popular during the colder months - visitors can even hit the slopes as late as September, depending on the weather, and both ski fields are within a 35 minute drive from Wanaka. Outdoor activities aren’t the only things to do in Wanaka though - take for example Stuart Landsborough’s Puzzling World. While you might think that an attraction based around visual illusions and mind tricks would be more for kids, you’ll find that children and adults alike will be drawn in by the seemingly impossible phenomena that you’re presented with. 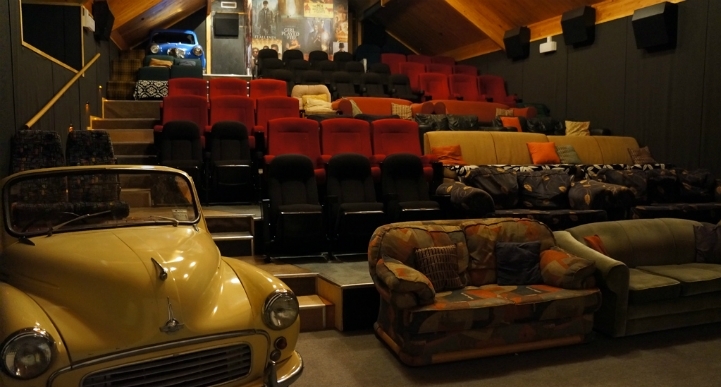 If you have the time, make sure to catch a movie at Wanaka’s Cinema Paradiso. What movie? It doesn’t really matter - it’s more about the experience of attending the Cinema Paradiso itself. Enjoy the film from the comfort (and style) of an antique car. Or perhaps you’d prefer a lazy boy? Or a sofa for two. Aside from the wildly eclectic seating arrangements, there’s also interval through the feature when the cinema sells ice cream and freshly baked cookies. If that doesn’t convince you, I don’t know what will. But of course it’s the less sedentary activities that Wanaka is most well known for. Whether you’re into hiking, mountain biking, kite surfing or skiing, this town has something for you. Worried that you won’t have enough time to fit it all in? Although Wanaka’s not a scheduled stop on this itinerary, remember: you’re taking a motorhome holiday. The freedom of the road is yours. Take advantage of the flexibility to make sure you get the best holiday possible. A little over an hour southwest of Wanaka, you’ll come to what will surely be one of the highlights of your trip - the adventure capital of the world, Queenstown. If you were forced to choose the two most beautiful locations in New Zealand’s South Island, 9 times out of 10 it would be Queenstown and Milford Sound which came out on top. They’re very different places but each has an element of otherworldly serenity that sets them apart from the crowd. If you had to choose one town as an ambassador for New Zealand’s South Island, a town that embodies all that’s best about the island and turns heads worldwide, it would undoubtedly be Queenstown. Its setting has an almost fantastical beauty to it, with the jagged line of the Remarkables mountain range on one side and the deep, clear waters of Lake Wakatipu on the other. It’s not all about looks though. This is a town that welcomes visitors with open arms and invites them to revel in the joys of life - whether that means sipping excellent wine while watching a spectacular sunset or hurtling toward the earth at terminal velocity. This is a town that wears its lofty title of ‘Adventure Capital of the World’ with ease. Not only do this town’s adventure activities rank among the very best in the world, but the sheer variety of them is absolutely staggering. Even if you don’t consider yourself an adrenaline junkie, Queenstown has a way of bringing out the adventurous side in people - once you’re there, you never know what you’ll end up diving into. So what exactly does Queenstown have in store for the budding (or veteran) adventurer? Many start by jumping on a plane, only to jump out of it again at high altitude. While the mechanics of throwing yourself out of a plane several thousand feet above the earth doesn’t change much from place to place, it’s the scenic landscape here that makes skydiving so popular. However, it’s not for skydiving but for bungy jumping that Queenstown has become famous among thrillseekers. There are a couple different sites to choose from, but those who are looking for the best bungy experience possible would be well advised to try the Nevis Bungy. Nevis is the highest bungy jump in the country - which not only means more of a thrill when you look down but it also means that you have more than eight full seconds in freefall. Count that in your head. It’s a long time, and it’s glorious. You don’t have to throw yourself out of or off things to get into Queenstown’s spirit of adventure. Whitewater rafting, offroad motorcycling, skiing at Coronet Peak, jetboating down the Shotover River with KJet Queenstown… whatever flavour of adrenaline you prefer, you’ll find something to engage your wild side and get your heart racing. Looking for family activities in Queenstown? The Kiwi Birdlife Park is a fantastic place to start. 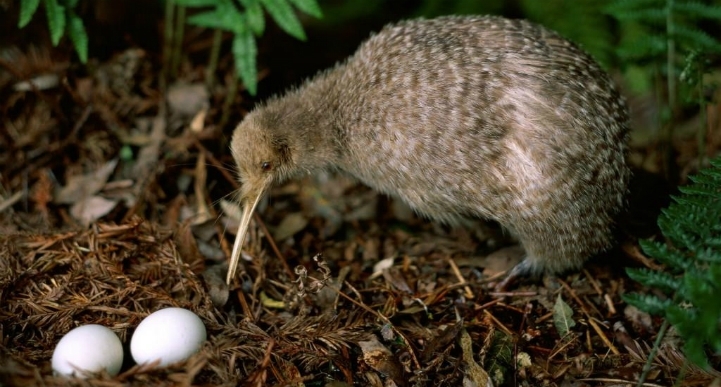 It’s almost impossible to see New Zealand’s reclusive national bird in the wild but the Park has specially built nocturnal viewing houses for their kiwi birds, which allows visitors to get a close up view of these solitary creatures without disturbing them. Make sure to stick around for feeding time - this is always popular with kids and adults alike. The nocturnal kiwi birds aren’t the only creatures you’ll find here though - cheeky kea parrots, warbling tuis and New Zealand falcons can be seen as well as the rarely witnessed tuatara - a reptile that has been walking the forests of New Zealand since before the dinosaurs. If your kids are over 5 years old, there’s something a little different that you can try together. Darkride Queenstown is a multi-sensory motion ride experience. Strap in, don some specially polarised glasses, heft your electric gun and become immersed in a series of 3D interactive adventures. Those who are looking for something that will let your children run themselves ragged and release all that pent up energy should take a look at Alpine Aqualand. Their hydroslides (open on weekends and late weekday afternoons) are always a big hit with kids - plus, every month they hold a huge pool party with giant inflatables, Paddles the Polar Bear, a dunking machine and more! When it comes to things to do in Queenstown, it’s not all adventure and excitement. There are quiet pleasures to be had here as well. Queenstown boasts some of the finest eateries in the country, with a standard consistently held high by the influx of wealthy foreign tourists. Places like Botswana Butchery and The Bunker cater to those want to indulge in top notch cuisine (definitely make a booking as these places fill up fast!) while more down to earth options like The Cow and Fergburger will tantalise your tastebuds without putting too much of a dent in your bank account. There’s also a host of different bars where you can enjoy a quiet drink or get to know some of the other travellers who have journeyed to this beautiful place. Sip a fine vintage at the Bordeau Wine Lounge, meet up with some new friends for beer and hot pretzels at Rhino’s Ski Shack or bundle up and head to the Minus 5 Ice Bar for something truly out of the ordinary. And if you’re really in Queenstown to let your hair down and party with people from all over the globe, you’ve definitely come to the right place. Queenstown’s nightlife is the stuff of legends, so hold on tight and get ready for the ride of your life. As much as you may want to continue enjoying Queenstown life for the remainder of your trip, the still waters and breathtaking vistas of Milford Sound await. If you thought that you couldn’t top Queenstown, check out Milford Sound’s credentials: not only has it been acclaimed as New Zealand’s most famous tourist destination, but it has also been declared the world’s top travel destination in an international TripAdvisor survey. Rudyard Kipling (the English author famous for his Jungle Book stories) even proclaimed it the eighth wonder of the world. But before you can discover what all the fuss is about, you have to get there. New Zealand’s Fiordland region is easily one of the most untouched, and most inaccessible, areas in the entire country: the “fiords” from which the region gets its name are only accessible by boat or plane… with the exception of Milford Sound. Even so, the journey to the sound is an adventure in itself. Allow at least 4 hours to get from Queenstown to Milford - it may take longer if you’re planning to stop a few times along the way for fuel, food or photos, so leaving early is normally a good idea. The town of Te Anau is the halfway point, and also your last chance to stock up on whatever you need for the rest of your journey. You’re really moving away from civilisation now - don’t expect cellphone coverage, food or fuel stops, or any other amenities on this stretch of road. 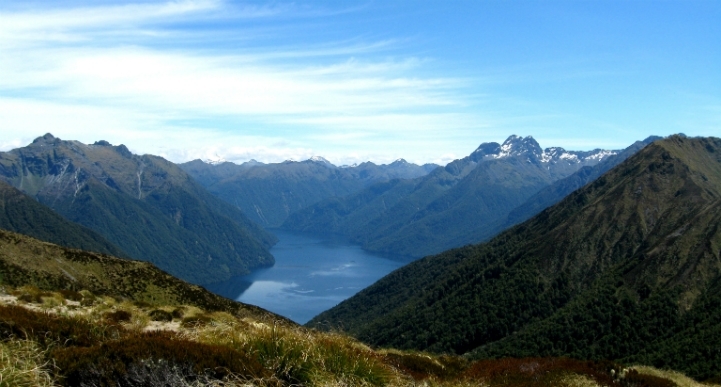 As you head into the Fiordland National Park, it will become very evident just how wild this area is. And although most will make the journey during warmer months, it’s worth noting that driving the road from Te Anau to Milford Sound without chains is illegal during winter, so arrange to bring some with you if you’re planning on braving the wintery southern winds. As a fabulous alternative to a long drive, you may wish to fly to Milford Sound from Queenstown instead. A few companies offer a 35-minute flight to this magical region (flying over the mountains, rather than meandering through them cuts off a significant amount of time! ), and seeing it from the air is truly an incredible, unforgettable and breathtaking sight. Air Milford is one such outfit that offers modern planes and knowledgable guides on this once-in-a-lifetime journey. You can also combine the flight with a cruise option and see Milford Sound from the water and the air. After this experience, you may be wondering what could be left for you to see, but the South Island of New Zealand has an unlimited supply of dazzling experiences for you to behold. Moving from the still waters and lush rainforests of Fiordland to the chilly streets of New Zealand’s southernmost city, the South Island will constantly surprise you with how much variety it packs into a relatively compact landmass. Make sure you’ve got some hiking boots handy in case you’re keen to try out what Rudyard Kipling called “the finest walk in the world”. Once you arrive at Milford Sound and witness the precipitous cliffs, the plunging waterfalls and the still, dark waters, you have a few options as how you want to immerse yourself in its raw splendour. 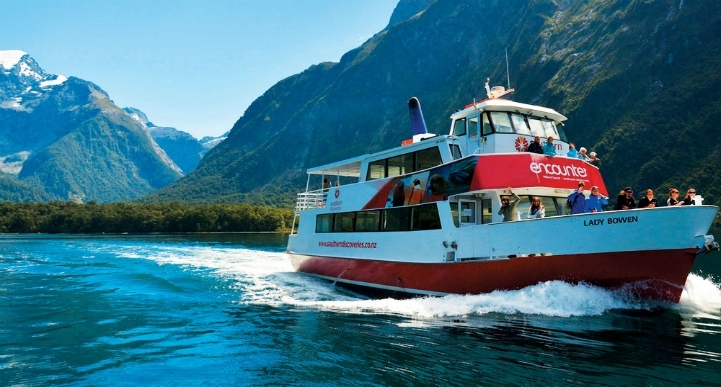 Taking a Milford Sound cruise is one of the most popular choices - there are a whole range of different cruise experiences, and all of them will treat you to a close up view of Milford Sound’s scenic charms. But it’s not just above the waterline that Milford Sound impresses. Southern Discoveries gives you the opportunity to dip beneath the waters of Harrison Cove and witness a unique and exquisite environment: the Milford Discovery Centre & Underwater Observatory. Descend 10 metres below the surface to look out from New Zealand’s only floating underwater observatory at rare black coral and exotic sea creatures. Of all the ways to experience the sound, don’t miss this one - the feeling of being in the midst of a whole other world is utterly striking; it certainly won’t be something you forget any time soon. For those hunting for an experience that’s a little more earthbound than a Milford cruise, the Milford Track is renowned as ‘the finest walk in the world’. That’s no hyperbole either: sunny weather reveals awe-inspiring alpine scenery while rain can turn entire valley walls into waterfalls. 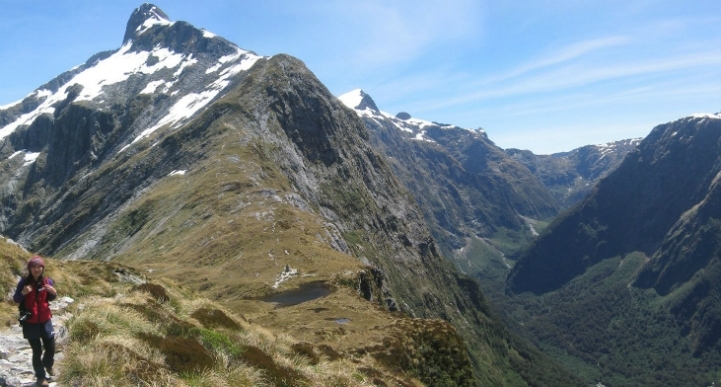 There’s a couple of things to be aware of though in regard to tackling the Milford Track. It can only be walked one way, starting from the top of Lake Te Anau and curving around to the southwestern edge of the sound. Boat access is necessary at both ends of the track. If you want to find out all the ins and outs of the Milford Track, go to the top of the section and look for the Milford Track link. One possible way to get in on this world-leading experience is to have someone drop off any keen hikers in Te Anau before driving the motorhome on to Milford and meeting up with the intrepid trampers several days later. Driving into and out of Milford Sound on the same day would be tough going for the best of us, so after driving there from Queenstown, why not park up for the night? Milford Sound Lodge offers very affordable campervan sites with the advantage of glorious views - just make sure to book, especially if you’re travelling during the busy season between November and April. When you feel that it’s time to set the calm waters and vertiginous cliffs of Milford behind, you’ll start out on another 4 hour journey, following the same road out that you used to get in, passing through Te Anau before turning right off of State Highway 94 toward Invercargill. *If you're beginning your trip in Dunedin, find your nearest motorhome rental depot here. You’ve now arrived at one of the southernmost cities on Earth - perhaps it’s the extremity of its location that has allowed it to retain the old world charm of a bygone era. After the soaring sights of Milford and Queenstown, it might be a pleasant change to trade the unsculpted ruggedness of nature for a tranquil stroll through Invercargill’s meticulously cared for Otepuni Gardens. Only minutes from the city centre on foot, the gardens cover four city blocks and, with their serene sense of seclusion, provide a welcome retreat for inner city workers and visitors alike. 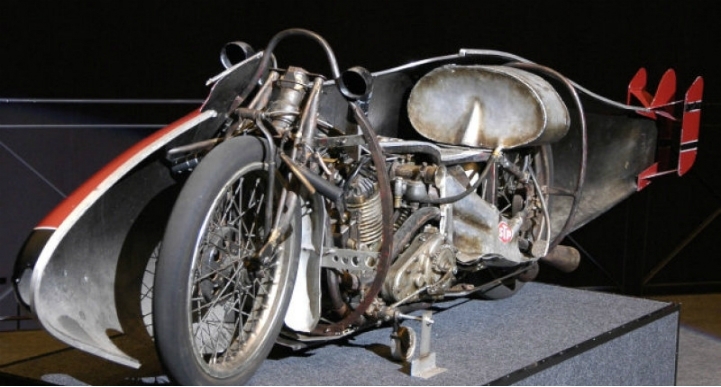 If you’re a bit of a racing buff or you’ve seen Anthony Hopkins as an grey haired motorcycle racer in The World’s Fastest Indian, you may want to pop into E Hayes and Sons Hardware to get a look at Burt Munro’s original Indian Scout motorcycle that carried the 68 year old to a land speed record on the salt flats of Bonneville, Utah. For those not opposed to a brew or two, a trip to the Invercargill Brewery should certainly be on the cards. They take tours which treat visitors to a couple hours of great yarns, beer tastings and behind the scenes insights. It’s possible to take a faster route from Invercargill to Dunedin than the one we’re prescribing but it would mean bypassing The Catlins, and that’s just not something we’re willing to contemplate. No tour of southland would be complete without a drive through this gorgeous area. Take the Gorge Road-Invercargill Highway out of town, and after about half an hour you’ll spot Fortrose and its giant Pukeko statue - it’s at this point that you’ve started your journey into The Catlins. 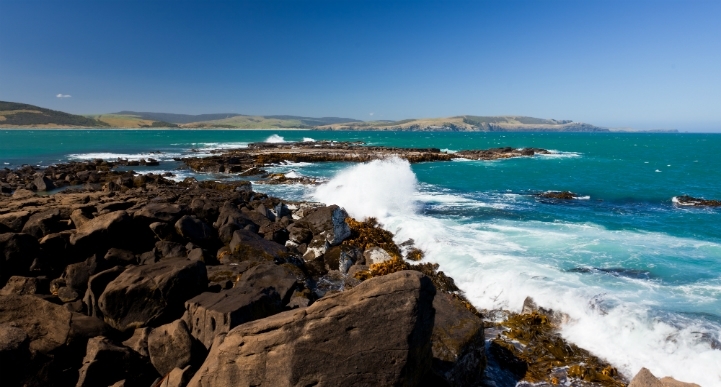 What exactly is all the fuss about The Catlins? Well, it’s a stretch of wild country known for its rich primeval rainforests and rocky coastlines. Around every bend is a new natural treasure waiting to be discovered, so don’t rush your trip - you might just miss something amazing. One of the most singular treasures along the way is Curio Bay. Taking a brief detour toward the coast, those who reach the bay will discover a forest of fossilised trees that were living and growing while the Tyrannosaurus rex still roamed the world. Check the tides before you set out, as the forest is best seen at low tide from the vantage of a viewing platform about 5 minutes from the car park. Not only will you get to see these relics of Gondwanaland, but if you’re fortunate (and in Curio Bay around late afternoon) you may be able to catch a glimpse of rare yellow-eyed penguins as they come ashore after a day of hunting and playing in the waves. Plus, you can take a short jaunt over to Porpoise Bay where in the summertime you can often see endangered Hector’s dolphins at play offshore. A trip through The Catlins wouldn’t be complete without stopping off at Purakaunui Falls. This picturesque tri-tiered waterfall has become something of an icon for the region - take a soothing 10 minute bush walk to the waterfall lookout for the perfect chance to refresh yourself before continuing your journey northeast. Once you’ve emerged from The Catlins, you’ll find the town of Balclutha. This is the perfect place to grab a coffee and possibly fuel up before driving the final hour to your final destination: Dunedin. Dunedin, a city that thrives thanks to Otago University, is the perfect place to round off your road trip and displays a side of New Zealand that you haven’t previously encountered. This is a place rich with history, as evidenced in its incredibly well preserved Victorian and Edwardian architecture. It even has a castle, New Zealand’s only one. It’s well worth your time to go have a look at Larnach Castle before your holiday comes to an end. Both the grounds and the monumental Victorian mansion itself are open to the public during business hours. 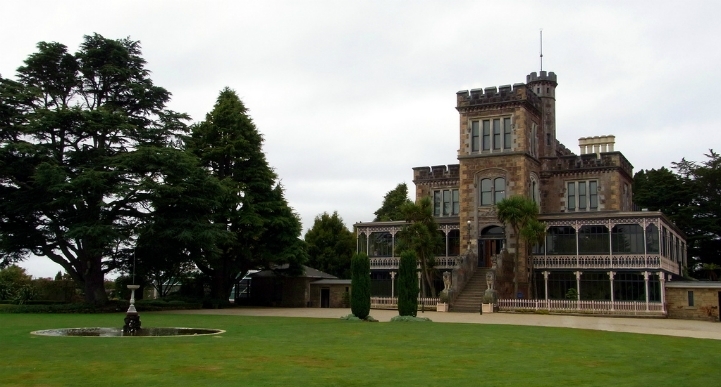 Those who’d like a guided tour of this reported haunted site will need to book ahead but many will be content with just admiring Larnach, or strolling through the Larnach Castle Gardens - one of only five in the whole country to be classified as a ‘Garden of International Significance’. If you’ve got a bit of a sweet tooth, then you can’t leave without paying a visit to Dunedin’s Cadbury World. The full tour takes you behind the scenes for a look at how Cadbury’s confections are created and yes, there definitely are samples. Even if you only have time for the shorter 45 minute tour that’s available on weekends, you’ll still emerge with a greater appreciation for the artistry behind the delicious sweets you eat, not to mention a very happy belly. Depending on the time of year, you might even be able to catch a game or a gig at the Forsyth Barr Stadium - a relatively new venue that has already hosted such famous names as Elton John, Paul Simon and Aerosmith. Keep an eye out, as any event held here is sure to be big! 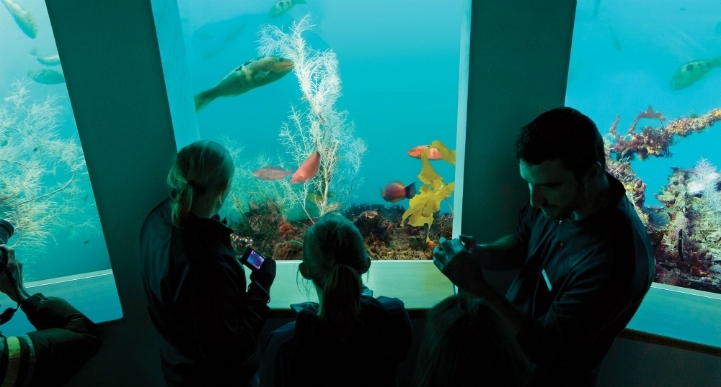 For those with kids in tow, heading to The Otago Museum is no brainer. This isn’t just some boring old place full of ancient artifacts - it actually contains a living tropical forest with its own small-scale ecosystem! Keep an eye out for turtles and tropical birds while exotic butterflies dance around your head. Regulated to a constant balmy 28 degrees, it’s also a great way to shake that southern chill. Although in this itinerary Dunedin marks the end of your road trip, it can also be the beginning - there’s nothing to stop you from booking a campervan hire in Dunedin and taking a totally different approach to the South Island. With a motorhome hire in NZ, nothing stands between you and the adventure that you’ve always dreamed of. However you choose to tackle the winding roads of New Zealand’s South Island, make sure to include at least a few of sights listed here on your agenda - after all, this route encompasses some of the greatest road trip country not only in New Zealand, but the entire world.